The first game I tried at this year’s EGX14 (after deciding to make a beeline for it as soon as presspass holders were allowed in at 10am on Thursday morning) was Theatrhythm Final Fantasy: Curtain Call. I want to begin by saying this preview may differ from most concerning this game out there in the sense that I’m a returning fan of the franchise. 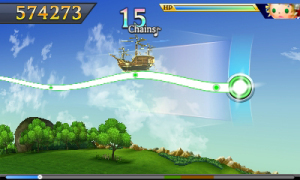 Not just of the Final Fantasy franchise in general, but also of the Theatrhythm franchise specifically. 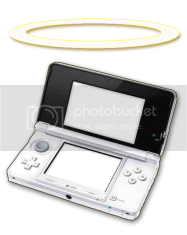 If you are interested in reading my opinions on the original (which is still one of my favorite 3DS titles to this day) please see here. Given this ; my comments on Curtain Call will largely be concerned with that which it adds to the original, so please bear this in mind. I was pleased to note that all the tracks in the EGX demo were new additions (Curtain Call features all the tracks from the original plus a whole host more!). There was also a most generous selection, resulting in about 25 minutes of non-stop music (hence I ended up being asked to step off by the boothbabe. Sorry for hogging the game, guys!). I think its really cool that the sorcerers of Square-Enix (some of whom me and Cyburn luckily got a chance to mingle with as part of the EGX festivities. You can read more about this here) have now introduced the option of playing the game using the 3DS’ buttons to the franchise. Its well documented that this play style suffers from a little lag (which is something I experienced with it myself). But the fact this option is there helps add variety to what, when played seriously, can be a rather grindy game (albeit awesomely so). It can also add challenge to the lower difficulty levels (think of it as a slight handicap). The new airship stages are aiiight. I digress. 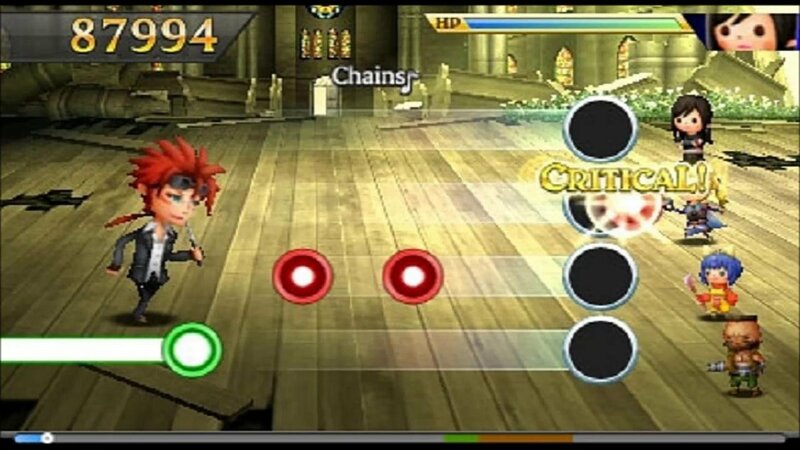 In my recent Theatrhythm Hindsight review I predicted that Curtain Call would blow the original Theatrhythm game ‘out of the water’. With its abundance of content and admirable choice of playstyles it would be difficult to argue that it hadn’t. Indeed, even the most ardent supporter of the original could not deny that Curtain Call is currently the most complete Theatrhythm package available. And it will remain so, as Square-Enix recently announced that this will be the last entry in the franchise (sads). As a quite blatant fangirl of the original ; Curtain Call is certainly on my ‘to buy’ gaming list. It is not at the top, however. I invested SO much time and energy unlocking the likes of Sephiroth, Aeris and Cosmos, so am genuinely aggrieved there’s no way of transferring these unlocks over to Curtain Call. I’ve decided that there’s no way I’m ever going to go through all that pallaver again… But still feel that Curtain Call would a worthy purchase for all the positives mentioned above. I will probably wait until the price goes down, however. For those of you who did not experience the magic of the original, however, need to add this to your 3DS collection right now! Curtain Call is available now.